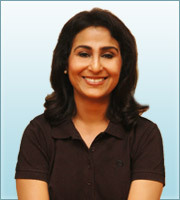 You can reverse the ageing process with the right diet and yoga asanas. The more sugar you eat, the more you age. Vitamins proved to be potent age inhibitors. 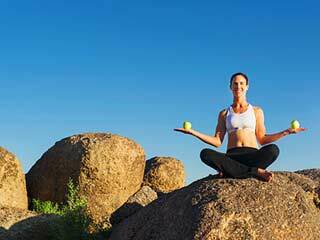 You can reverse the ageing process with the right diet and yoga asanas. 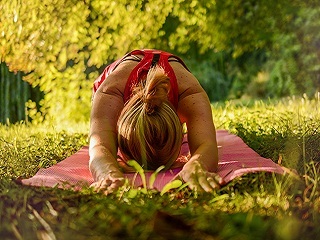 Here's a simple users guide Do anti-ageing foods and asanas really exist? There is enough evidence to suggest that longevity is not all in the genes. Much of it is in your hands. We're not saying you can be immortal. But eat right and do the following asanas and you can stop the clock, or let's get real, slow it down. Lie flat on the back with the feet together, the arms by the sides and palms flat on the ground. Using the arms as levers raise the legs and back to a 45 degree position. Bend the elbows and use the arms as props to steady the back by pressing it with the palms. The trunk and legs should extend straight upward. Bhumi pada mastakasana Sit on your fours. Place the crown of the head on the ground between the hands. Raise the knees and buttocks and balance on the head and feet. Raise the arms and clasp the hands behind the back. Hold for as long as is comfortable. Replace the hands, lower the knees and return to the cat pose. This process can be repeated. Stand erect with the feet 3 to 4 feet apart. Bend the body at the hips and place the hands directly in front of the feet. Place the crown of the head on the ground between the hands. Raise the arms and clasp the hands behind the back hold. Raise the head and return to the erect position. Limit your intake of fats Excess fat causes mid-life ailments and speeds up ageing. Keep the total fat less than 30 per cent of your daily calories, with about three-quarters of it coming from unsaturated fat (if a food has 10 grams of total fat, 7 to 8 grams should be unsaturated). Choose fat-free or low-fat dairy products. Drop red meat. Choose fish Take olive and canola oils, rich sources of Omega-3.Nuts are great for good fats. They keep your brain sharp, skin smooth, and the mood balanced. The more sugar you eat, the more age you develop, quite literally! Resist sugary drinks and fruit juices. Eat whole fruits instead.Avoid high-glycemic foods. Refined foods and potatoes are high in sugar but low in fibre. Remove the salt shaker The National Institute of Nutrition, Hyderabad, recommends 8-10 grams of salt per day. That effectively means only 1 ½ -2 teaspoons of salt, a day. Supplement vitamins and minerals Your best option is to get your vitamins and minerals from natural foods fruits and vegetables. A helping of 5 fruits and veggies daily will keep you healthier and younger.Supplement your diet with vitamins B1 and B6. These vitamins proved to be potent age inhibitors according to a number of published studies. Vitamin C is vital for the body's ability to produce collagen, a building block for healthy skin. Up your fibre Fibres are your magic potion against weight gain due to reduced metabolism beyond a certain age. Fibre cranks up your metabolism and fires fat loss! Plus you get the added benefit of the anti-ageing brigade in them. Brown rice, wholegrain bread, soya.Beans and peanuts are laden with fibre. Drink more water Hydrate, hydrate, hydrate: it's a commandment from the medical world. It's the best way to rid your body of toxins and unwanted waste materials. Eight to ten glasses of water a day are recommended.